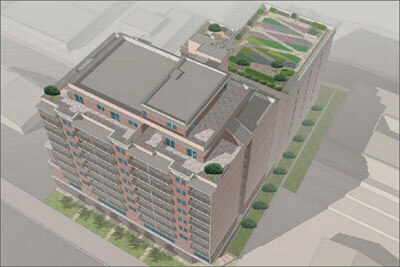 A proposed roof garden at the Brentwood-Bowl/Millwood Towers Project in South San Francisco, CA, in collabration with Dominguez and associates. Miramar, California, 3800 sq. 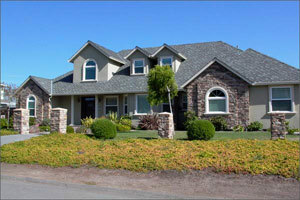 ft., 4 bedrooms, 3 baths, it fulfilled the needs of a young growing family. 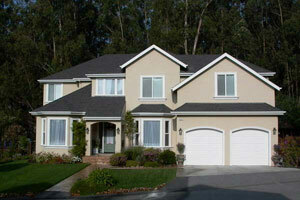 Recently built custom home in San Mateo County, CA. 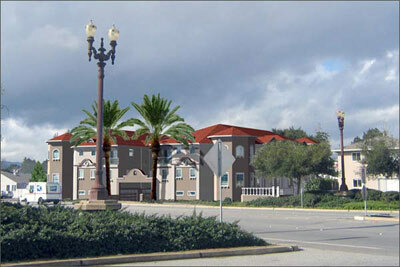 A proposed mixed-use Project in Burlingame, CA. 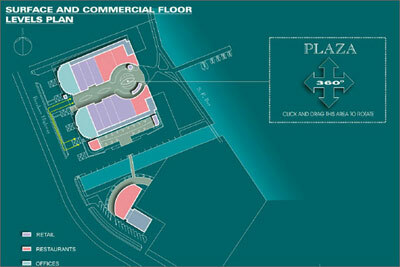 Project included underground automated parking in collabration with Parkmatic, LLC. 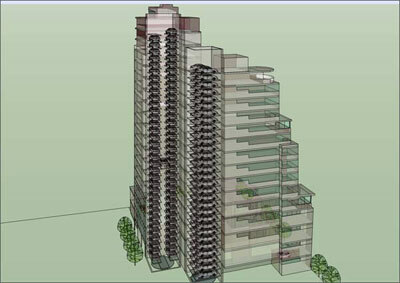 A rendering of an ongoing proposal for a mixed-use Project in downtown Oakland, CA, including the 'Tower Parking System' from Parkmatic, LLC. 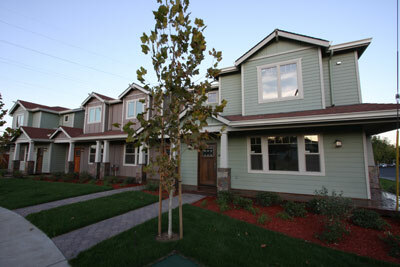 A mixed use manufacturing and office complex built in Burlingame, Ca in 2007. 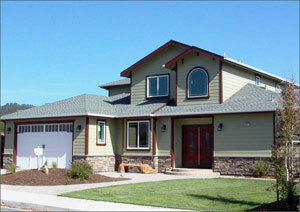 About 100 yards from the beach, this home utilizes all of the newest technologies available. This includes high-efficiency heating, advanced siding and insulation, and top-of-the line windows, that exceeds CA Title-24 requirementsand LEEDS requirements. 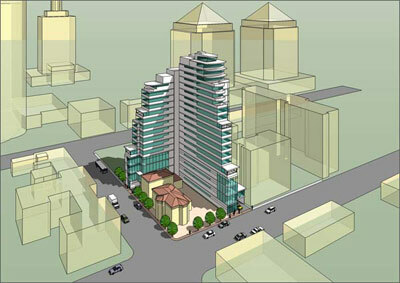 Aerial rendering view of the Brentwood-Bowl/Millwood Towers Project in South San Francisco, CA, in collabration with Dominguez and associates. 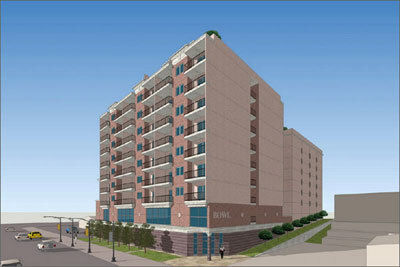 Street level view of the Brentwood-Bowl/Millwood Towers Project in South San Francisco, CA, in collabration with Dominguez and associates. The added width of a triple-wide lot, enabled us to design a 3-car garage into the structure in such a way as to not overwhelm the front facade. 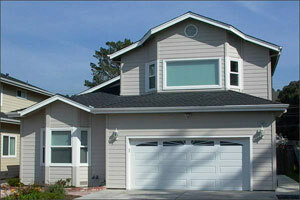 A cute little 3-bedroom, 2.5 bath home, near the beach, in Half Moon Bay, Ca. Again, all of the 'Good Stuff 'is built in. This is an ongoing proposal for a mixed-use Project in downtown Oakland, CA, including the 'Speedy Parking" System' from Parkmatic, LLC. 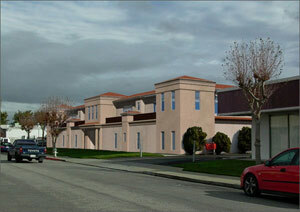 A photo-realistic rendering of the 10-unit town home project we designed in Redwood City, Ca. 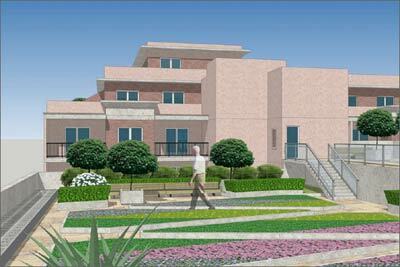 4 bedrooms, 3 baths, 3600 sq. ft. with a 497 sq. ft. garage, Miramar, Ca. 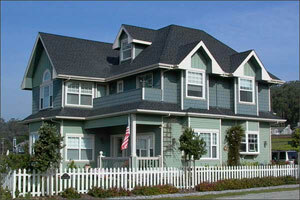 This highly articulated beach-style was one of our light-gage steel frame houses done in East Coast New England Style. 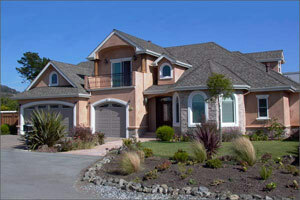 This home is about 1/2 block from the Ocean, and was well received by the local community. 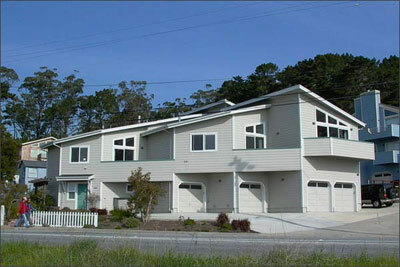 This Tri-plex, was built to conform to a very difficult lot in San Mateo County, CA. 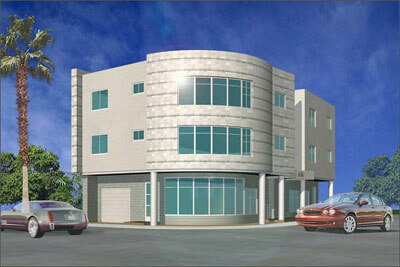 A rendering of a proposed mixed-use building in Pacifica, CA. 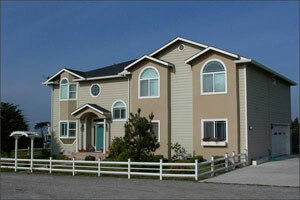 A large-sized beach house, 3500 sq. 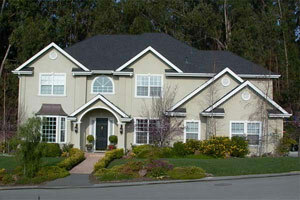 ft., 4 bedrooms, 3 baths. Miramar, Ca. 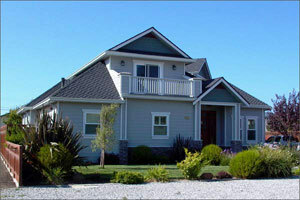 This simple low-cost design is one of two houses built next to each other in the City of Half Moon Bay California. 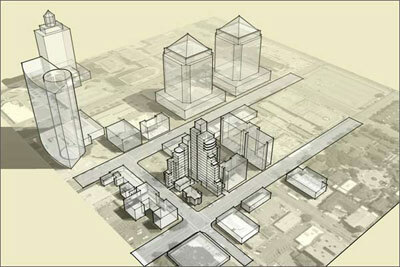 A proposed Project in downtown Oakland, Ca. showing automated "Speedy Parking" towers from Parkmatic incorporated into the building. 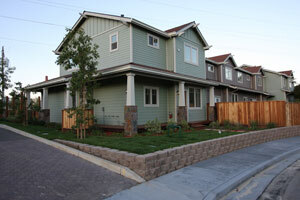 8-Unit townhome Project, recently completed in Los Gatos, California.